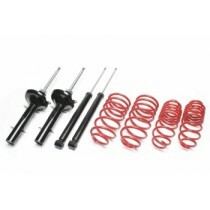 This TA technix sport suspension kit is for the Ford Sierra type GBC / GBG from 1984-1993. This TA Technix sport suspension kit is for the Ford Sierra Tunier type BNC / BNG from 1984-1993. This TA Technix sport susepension kit is for the Ford Sierra XR4x4 type BEF/BFGC from 1987-1993.